Cinemablographer: Ottawa's European Union Film Festival Returns This Week! This year’s EUFF opens with Luxembourg’s Baby(a)lone. The fest always opens with the entry from the country enjoying the Presidency of the EUFF, so Luxembourg’s on deck this year. Opening night’s screening also features a guest appearance by filmmaker Donato Rotunno, the director of Baby(a)lone, who will be on hand to chat about the film. Rotunno previously directed the horror film In a Dark Place, which stars Leelee Sobieski and is an adaptation of Henry James’s The Turn of the Screw. EUFF also welcomes guest filmmakers Andrea Jublin (Italy’s Banana) and Alexander Dumreicher-Ivanceanu (Austria’s Fever). The Canadian-Irish co-pro Brooklyn screens EUFF. Baby(a)lone brings some extra novelty to opening night since it’s the country’s official submission in the Best Foreign Language Film race for this year’s Academy Awards. EUFF’s always good for providing some of these hot contenders that are hard to see before the Oscars, and this year’s festival actually ups the ante of previous years by offering four Oscar submissions in the foreign film race. (More on those films in a moment.) 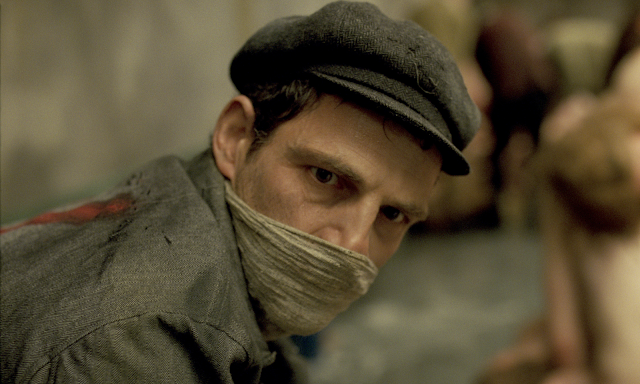 One of this year’s EUFF Oscar contenders is a biggie: Hungary’s Son of Saul, the frontrunner in the race, is the must-see film of the festival after wowing audiences at Cannes, Telluride, and TIFF. EUFF also brings Brooklyn, the Canadian-Irish co-production that's gaining traction and becoming a dark horse on the awards circuit. There’s something for everyone at this year’s festival, and few of the films are coming back to town, so make sure to get out as often as you can. Tickets are $13 for the general public, $9 for CFI members, ByTowne members, students, and senior. The CFI also offers a 5-film passport for members at $40 for 5 films. You’ll want to get 2 passports—three cheers for dual citizenship! *Note: many of the films listed here are co-productions, but for purposes of clarity and consistency, the entry lists the country that the film represents at the festival. Dir. Donato Rotunno | Luxembourg | 2015 | 90 min. Synopsis: Adapted from Tullio Forgiarini’s novel “Amok,” Rotunno’s BABY(A)LONE takes place in an affluent, contemporary Europe and revolves around the unusual friendship of a girl and boy in their early teens, X and Shirley. For various disruptive behaviours, first X and then Shirley are moved from the general school population into a ‘special’ remedial class, where they meet and become fast friends. This troubled, alienated pair quickly conspire to get away from school, parents, and all forms of adult authority. Throughout this intense and intriguing film, X and Shirley seek to define themselves, find the love they desperately crave, and create for themselves a world of hope and make believe. Why it’s worth seeing at EUFF: Opening night, guest filmmakers, Oscar submission… do you really need another reason? Baby(a)lone - la bande annonce avec sous-titres ENG-SD from Film Fund Luxembourg on Vimeo. Dir. Roy Andersson | Sweden | 2014 | 101 min. Synopsis: Like his previous features Songs from the Second Floor and You, the Living, master Swedish director Roy Andersson takes up the theme of “being a human being” with this meticulously crafted, dreamlike black comedy. Sam and Jonathan, a pair of hapless novelty salesman, take us on a kaleidoscopic tour of the human condition in reality and fantasy, unfolding in absurdist episodes: a sing-along at a 1940s beer hall, a randy flamenco teacher, a thirsty King Charles XII of Sweden en route to battle, and a diabolical metaphor for the horrors inflicted by European colonialism. It is a journey that unveils the beauty of single moments, the pettiness of others, life’s grandeur, and the humor and tragedy hidden within us all. Dir. Dome Karukoski | Finland | 2014 | 104 min. Synopsis: The Grump is a man from the past. A man who knows that everything used to be so much better in the old days. Pretty much everything that's been done after 1953 has always managed to ruin The Grump's day. Our story unfolds as The Grump takes a fall from his basement steps, hurting his ankle. He has to spend a weekend in Helsinki to attend physiotherapy. The Grump doesn't like this for four reasons: 1) He has to take a taxi. 2) He can't take daily care of his wife, an Alzheimer's patient. 3) He can't drive, which means he might have to sit in a car with a female driver. 4) He has to spend time with his family. Why should you see it at EUFF: Nordic comedies are an unexpected hoot. They’re dark, strange, and weird, so if you like A Pigeon Sat on a Branch, make sure to come back to the ByTowne the next day for The Grump. Past EUFF’s and editions of the Bright Nights: Baltic-Nordic Film Fest have hosted Finnish oddities like Road North and The Son, and they’re consistently strong black dramedies. Dir. Nae Caranfil | Romania | 2014 | 112 min. Synopsis: A Romanian police officer teams up with a small crew of bank robbers to pull off a heist by convincing everyone at the scene of the crime that they are only filming a movie. Why it’s worth seeing at EUFF: Romania has the most interesting case study in national cinema with the Romanian New Wave offering consistencies in style and anti-commercial sentiments. The Romanian offerings are usually highlights of the CFI’s Euro selections and they always bring something new to the table. This year’s Romanian offering Closer to the Moon gives a different side of Romanian film with an international co-production peppered with top stars like Vera Farmiga. Closer to the Moon tells the bizarre-yet-true caper in which a group of death row inmates (played by Farmiga, Mark Strong, Christian Mackay, and other familiar faces) are forced make a movie that recreates the bank robbery for which they were convicted. This black comedy, which topped the Romanian film awards last year, might be worth checking out if last year’s strong EUFF selection Jack Strong gave anyone an interest in seeing smaller film scenes tackle more ambitious films with commercial potential and international flavours. Dir. John Crowley | Ireland | 2015 | 111 min. 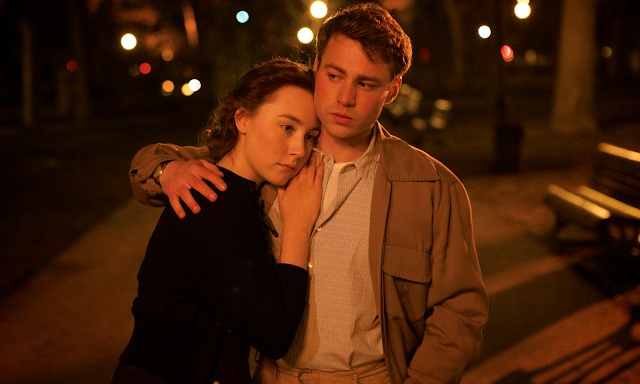 Synopsis: Brooklyn tells the profoundly moving story of Eilis Lacey (Saoirse Ronan), a young Irish immigrant navigating her way through 1950s Brooklyn. Lured by the promise of America, Eilis departs Ireland and the comfort of her mother’s home for the shores of New York City. The initial shackles of homesickness quickly diminish as a fresh romance sweeps Eilis into the intoxicating charm of love. But soon, her new vivacity is disrupted by her past, and Eilis must choose between two countries and the lives that exist within. Dir. László Nemes | Hungary | 2015 | 107 min. Synopsis: October 1944, Auschwitz-Birkenau. Saul Ausländer is a Hungarian member of the Sonderkommando, the group of Jewish prisoners isolated from the camp and forced to assist the Nazis in the machinery of large-scale extermination. While working in one of the crematoriums, Saul discovers the body of a boy he takes for his son. As the Sonderkommando plans a rebellion, Saul decides to carry out an impossible task: save the child's body from the flames, find a rabbi to recite the mourner’s Kaddish and offer the boy a proper burial. Why it’s worth seeing at EUFF: If you aren’t already in line for Son of Saul, you might not get in. This film is guaranteed to be the hot ticket of EUFF. The film comes to Ottawa after an acclaimed debut at Cannes where it won the Grand Prize of the Jury (aka the runner-up), in addition to a trio of other awards including the FIPRESCI, although many critics felt it deserved the Palme for its claustrophobic and harrowing realization of the horrors of the Holocaust. The film is Hungary’s submission to the Oscars this year and it seems way ahead of the pack in terms of popularity, acclaim, and exposure at this stage of the race. Assuming it makes the nine film shortlist, which drops about one month from today, Son of Saul is probably the winner. Dir. Klaus Härö | Estonia | 2015 | 93 min. Synopsis: A young man, Endel Nelis, arrives in Haapsalu, Estonia, in the early 1950s. Having left Leningrad to escape the secret police, he finds work as a teacher and founds a sports club for his students. Endel becomes a father figure to his students and starts teaching them his great passion – fencing, which causes a conflict with the school’s principal. Envious, the principal starts investigating Endel’s background. Endel learns to love the children and looks after them; most are orphans as a result of the Russian occupation. Fencing becomes a form of self-expression for the children and Endel becomes a role model. The children want to participate in a national fencing tournament in Leningrad, and Endel must make a choice: risk everything to take the children to Leningrad or put his safety first and disappoint them. Dir. Dan Poole, Giles Terera | United Kingdom | 2013 | 83 min. Synopsis: Muse of Fire is an 83-minute feature documentary produced by actors and debut filmmakers, Giles Terera and Dan Poole. The film follows Dan and Giles as they travel the globe to discover everything they can about tackling Shakespeare, arguably the greatest storyteller of all time. The film documents their four-year journey around the world: to Elsinore in Denmark, London’s Globe theatre, a prison in Berlin, taking in Hollywood as they go. Along the road they consult a whole host of helpful luminaries, often going to great lengths to secure interviews with some of the greatest Shakespearean actors of all time. These include Ian McKellen, Judi Dench (to whom a cake was sent), Derek Jacobi, Mark Rylance, Tom Hiddleston, Jude Law, Baz Luhrman, Ewan McGregor and many more besides. It’s a heartfelt, fun and inspiring film that aims to demystify and illuminate Shakespeare's work for just about anyone: from actors, directors, theatre-goers, students, to the person on the street. Think Shakespeare is boring? Think again! Why it’s worth seeing: Ian McKellen! Judi Dench! Tom Hiddleston! Jude Law! Ewan McGregor! Shakespeare! Documentary! Hurrah! All screenings are at ByTowne Cinema.